With Valentine’s Day coming up soon, TOMODACHI would like to offer our customers a special offer! 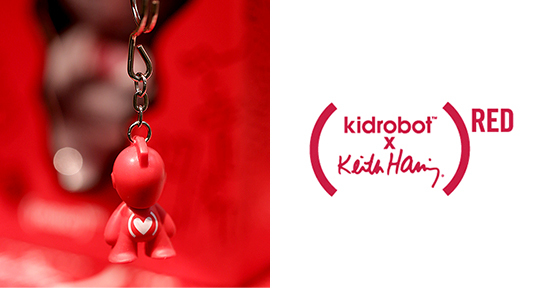 For a limited time, customers who spend $30 or over will receive a complimentary Keith Haring x (RED) 1″ keychain! On top of that, customers who spend $100 or more will get their choice of either Keith Haring x (RED) snapback cap or knit beanie, free of charge! These Kidrobot products were made with the Keith Haring Studio and (RED) in order to support the fight against AIDS. This offer is only available while supplies last, so make sure to stop by TOMODACHI and share the love while you can! Keith Haring was an artist who devoted his time and artwork to fight against disease and ill-will throughout the world. Creating more than 50 public works in the 1980s, he donated most of his work to charities, hospitals, orphanages, and other institutes to help spread his message. 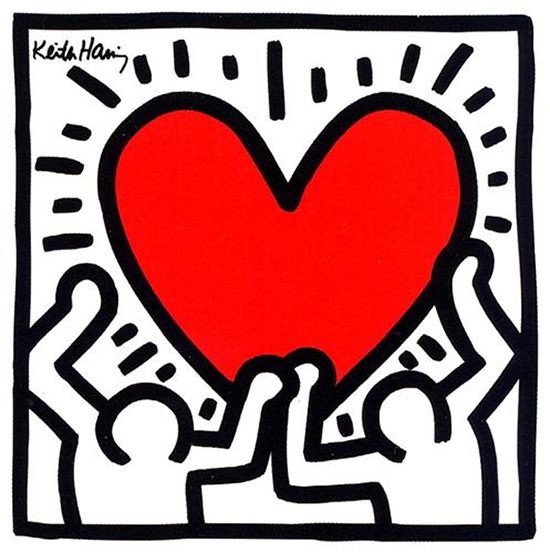 Haring also established the Keith Haring Foundation, which to this day continues to provide funding and resources to AIDS organizations and children’s programs, and helped spread Haring’s art and message across the world. Keith Haring was a victim of AIDS himself, and died at the age of 31 in 1990. Since then, his work has continued to hold meaning in our struggle against AIDS, and his foundation works tirelessly towards helping to cure this disease. (RED), established in 2006, has been working with a variety of big-name companies in order to spread awareness on AIDS and help campaign to help eliminate HIV and AIDS worldwide. Partnering with companies like Nike, Microsoft, Apple, Starbucks, GAP, Hallmark, Converse, Kidrobot, and more, 50% of every (RED) product’s price is donated to The Global Fund to Fight AIDS, Tuberculosis, and Malaria, in order to help combat AIDS across the world.